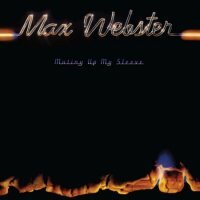 Following on from the successful ‘High Class In Borrowed Shoes’, Ontario experimentalists Max Webster kept the momentum going with this 1978 release, and ‘Mutiny Up My Sleeve’ certainly didn’t let the side down. What was most bizarre about this period is that the rest of the band had decided that bassist Mike Tilka was musically the weak-link and had fired him just before recording started, but Mike had been quite successful at dealing with the business side of things and was immediately hired by manager Ray Danniels to co-manage them, and even co-produced the album with the band after Terry Brown quit part-way through. Mike’s replacement came again from the experimental jazz-rock trio Zing Dingo, Gary McCracken’s buddy Dave Myles (the other member of Zing Dingo – keyboard player Gregg Chadd – would also go on to join Max Webster in 1980 after a spell in Saga). Despite the fact that Kim Mitchell looks upon this album as the beginning of the end, ‘Mutiny…’ was actually a very strong album indeed. It had commercial moments in the beautiful ballads ‘Astonish Me’ and ‘Water Me Down’, but mostly it was true to the band’s original vision without a thought for commercial success – a lesson they learned from being around Rush. True Max moments were many on this album, with the increasingly bizarre lyrics and musical diversity of ‘Lip Service’ and ‘Beyond The Moon’ book-ending a rollercoaster ride of moods and emotions. It has the dramatic ‘Distressed’ with its heart-rending guitar fills, the jolly instrumental ‘Hawaii’, the insistent groove of stage favourite ‘Waterline’ and Terry Watkinson’s superb ‘Let Your Man Fly’, but if you were to pick one song that most demonstrates the ‘Max machine’, it would have to be ‘The Party’. This song alone has everything that was great about the band, and it’s odd that despite its musical unpredictability and nonsensical lyrics, it became a live favourite that the crowds just loved to sing along to. Listening to this album today you would have no idea of the major upheavals the band was experiencing, and ‘Mutiny….’ would be the second Max album that I would recommend after ‘High Class….’. Paul Suter’s sleeve interview with Kim paints a grim picture of where things were heading, although this line-up did manage to make one more studio album and a live one. 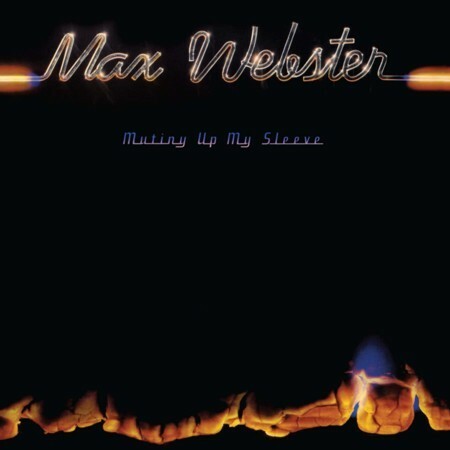 The resentment of playing second fiddle to Rush was causing problems they would never get over, and despite the subsequent success of Kim’s solo career, it’s still Max Webster that’s perhaps his biggest achievement. These three albums are important milestones in the history of Canadian rock and are essential listening, let’s hope the rest of their catalogue eventually gets the same care and attention.